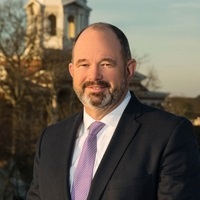 Michael (Mike) Fields is a Georgia native having lived in every corner of the state, and in Cartersville since 1992. After graduating from Mercer University, Mike began a career in human resources with a major corporation before beginning a career as a financial advisor with Interstate-Johnson Lane (now Wells Fargo Advisors). Since 1994, Mike has worked with major corporations, small businesses, and individuals on a variety of financial matters including retirement planning, investment planning and risk management. His process provides clarity and confidence for investors to spend and enjoy their wealth with the people they care most about without the fear of running out of money. Mike is an active member of Heritage Baptist Church where he teaches youth Sunday school. His other current community activities include board memberships at the Cartersville GateKey Foundation, Bartow Rotary Club, The Cartersville Development Authority and The Etowah Scholarship Foundation. Mike also previously served as the mayor of Cartersville from 2002-2008. Mike’s wife, Susan, is a primary school teacher in the Cartersville School System. The couple has two daughters, daughters, Ellie and Maggie, both of whom are students at the University of Georgia. In his free time, he enjoys attending sporting events, reading, writing, outdoor activities and spending time with his family. The address is 111 Leake Street, Cartersville, Georgia 30120.